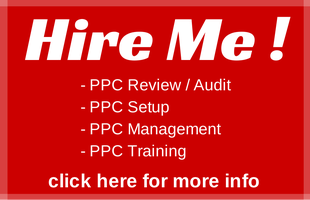 PPC search marketing involves setting up Ads to display to users who type in certain words or phrases (‘search queries’) into a search engine. For instance – if you are a mortgage broker in Cardiff, you may want your Ad to show when a user types in the search query ‘mortgage broker in cardiff’. However, because of the huge diversity of words and phrases users type into search engines to find what they are looking for, PPC engines such as Google Adwords and Bingads utilise 4 keyword match types to help advertisers target keywords. It is very important for advertisers to have a strong understanding of keyword match types – as the default settings in both of the main PPC engines (Adwords and Bingads) have the lowest targeting / specificity but will gain you the highest number of clicks. i.e. you will spend more money, with less ROI. It is important to understand the difference between keywords and search queries. 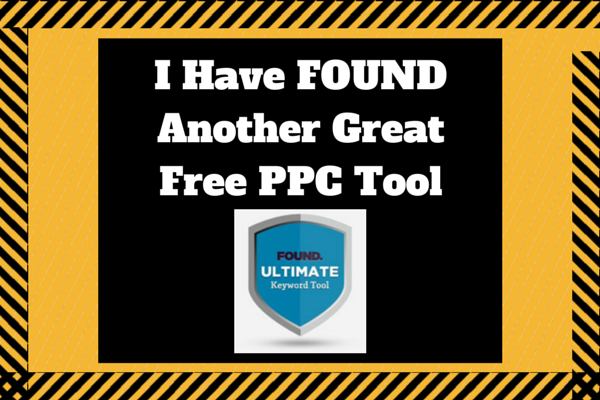 Keywords are the words and phrases you input into your PPC account to form your PPC keyword targeting. i.e. they provide information in relation to which search queries you wish your Ads to display for. It may seem logical that the 2 are in fact the same. i.e. if you are targeting a specific keyword for your Ads to display for, and a user types a search query which matches your target keyword – your Ad will trigger. As mentioned above there are a HUGE variety of search queries users type into search engines on a daily basis. In fact, over 15% of search queries used each day on Google have never been used before. So there needed to be some way that PPC engines helped advertisers to throw their net wider, without simply having to input thousands or even millions of keyword variations into their PPC account. This is the purpose keyword match types serve. Exact match keywords are used when you want/need to target an EXACT search query that a user types into the search engine. i.e. you do not want your Ad to show for any variations at all, you want to maintain very tight specificity and control over the search query that will trigger your Ad. Square brackets are used as the syntax for exact match keywords. 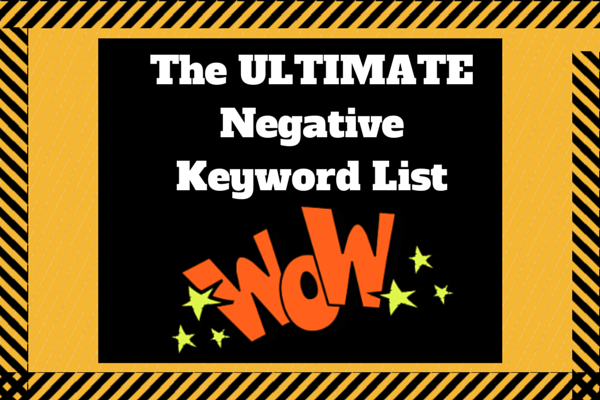 Or ANY variation that does not exactly match your target keyword. Exact match keywords give you the highest level of targeting and control of all the 4 keyword match types and you would usually expect to see exact match keywords lead to the highest ROI particularly as a PPC account matures. Phrase match keywords are used when you wish to target any phrase containing the keyword(s) you specify in the order you have specified, but are happy for your Ads to be triggered for wider variations of search queries containing your phrase match keyword(s). Quotation marks (quotes) are used as the syntax for phrase match keywords. Phrase match keywords must be used with a degree of caution. I recommend pulling off a search query report every week for the first 4 weeks, every fortnight for the following 2 months and then monthly thereafter. Modified Broad is the newest of the keyword match types. Using Modified Broad match keywords enables you to specify certain words that must be contained in the search query to trigger your Ad. The main difference to Phrase match above, is that it does not matter which order the words you wish to target are in. Plus (+) signs are used as the syntax for Modified Broad match keywords. Any word with a + sign in front of it must be present in the search query for your Ad to trigger. Or ANY search query that does not contain each of the words with a + sign in front. Modified Broad Match keywords must be used with an even further degree of caution than phrase match. Again, I recommend pulling off a search query report every week for the first 4 weeks, every fortnight for the following 2 months and then monthly thereafter. Broad match is the default match type, as it does not require any syntax. i.e. if you simply type target keywords into your PPC account without square brackets, quotes or any other syntax – you will be using Broad match keyword targeting by default. Using Broad match keywords offers the lowest level of control, but the widest reach. Google or Bingads could display your Ads for “misspellings, synonyms, related searches and other relevant variations”. In other words, the Google or Bingads system will decide the search queries it feels are relevant for your Ads to be triggered. 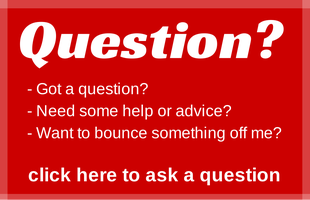 Or ANY search query that the Google or Bingads system decides is relevant. Broad Match keywords must be used with a HIGH degree of caution. You must pay very close attention to the search queries which are triggering your Ads (impressions and clicks), and add in negative keywords to increase targeting and minimise wastage. 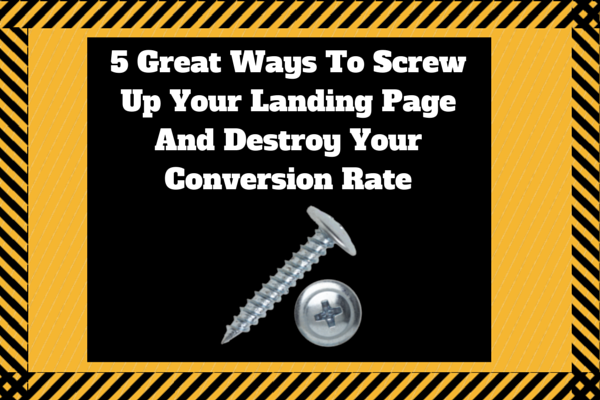 I personally do not EVER use Broad Match keywords, due to the lack of targeting and control this keyword match type affords. 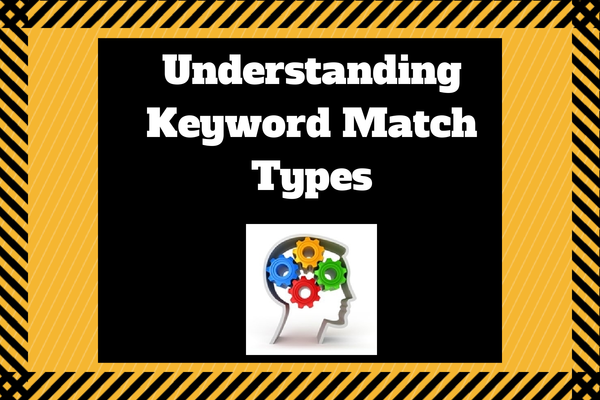 So Which Keyword Match Types Should You Use? 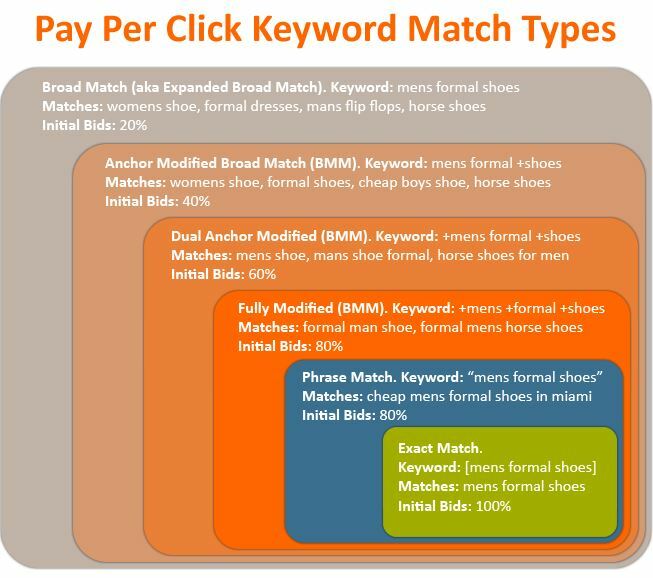 So now you understand Keyword Match Types a little more than you did before reading this, you should have a greater understanding as to which search queries your keywords will trigger Ads for. This is key. It is this understanding that can save you a great deal of money, and be the difference between success and failure. Always use Exact Match Keywords. No brainer! Make use of Phrase Match and Modified Broad, but ensure you research and input negative keywords at the outset and monitor performance carefully, particularly quality score. You may sometimes find a Modified Broad Match variation performs better with a higher quality score than a Phrase Match, in which case pause the Phrase. NEVER use Broad Match Keywords. I personally see no value at all in Broad Match Keywords. 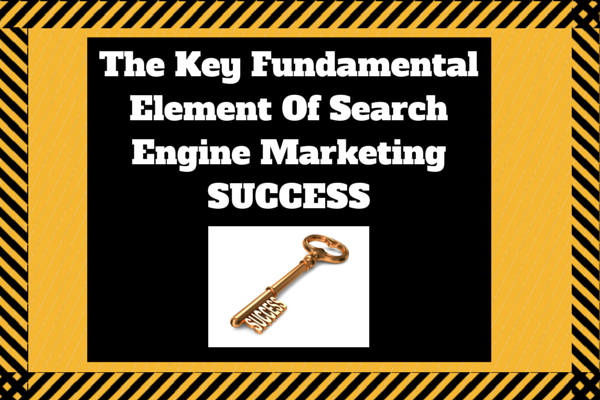 The use of Broad Match keywords is lazy, and benefits Google and Bingads more than it will benefit you. As an additional note, watch for the ‘low search volume’ notification when using Exact Match Keywords. This means your Ads will not be triggered, and you are in fact withdrawn from the auction. If this happens, look for ways to target related keyword variations using Phrase Match and Modified Broad, but ensure you input negative keywords intelligently from the outset to maintain targeting. 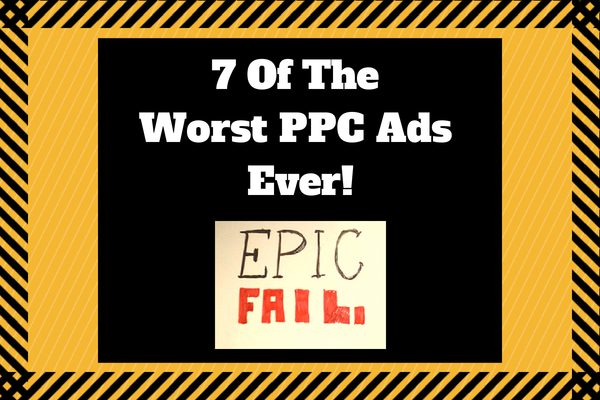 7 Of The Worst PPC Ads EVER!